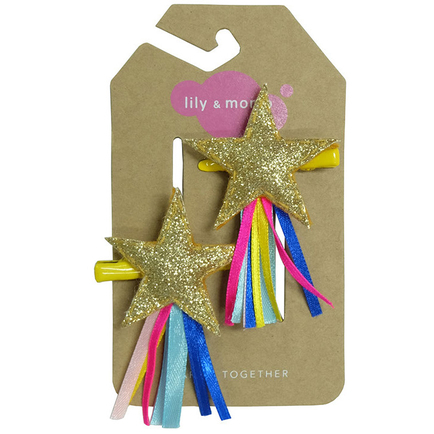 She will shine bright with a duo of gold star hair clips. These clips are out of this world! Perfect for celebrations like Memorial Day and Independence Day. Approximate dimensions: 1.9" tall * 1.8" wide.